Regular attendance is one of the requirements of Club membership. 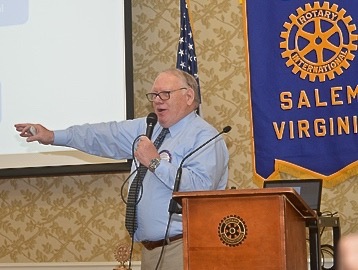 Rotary emphasizes attendance because it recognizes that to remain an effective Rotarian, a member must experience the good fellowship of weekly meetings and be involved in the Club’s progress and projects. Every member must attend regular Club meetings and must attend or make up at least 50% of regular club meetings in each half of the Rotary year. A member shall be counted as attending a regular meeting if such member is present for at least 60% of the time devoted for the regular meeting. Members need to attend at least 30% of their home club’s regular meetings in each half of the Rotary year and not miss or fail to make up four consecutive meetings. Half of the Rotary year is defined as January through June and July through December. – Attending a meeting of another club. 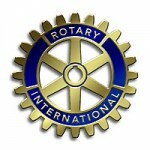 – Make-up “on-line”, just visit Rotary eClub One to make up via the Internet (requires a 30-minute visit). – Attending a meeting of a Rotaract or Interact club. – Participating in a club-sponsored event. – Attending a club board or committee meeting with authorization of the club board. – Working on a club service project. Members who must miss a number of consecutive meetings because of temporary assignments away from the area, medical or other personal reasons should request a Leave of Absence prior to the absence by contacting in writing the Club Secretary with a brief description of the reason for the request and a start and end date for the absence. To ensure that your attendance is properly recorded, please scan the bar code on the back of your name badge prior to regular meetings. Make sure you hear a loud “beep”. If for some reason the scanner is not available, check off your name on the weekly sign in sheet. To register a make-up, go on line to the DACdb district web site, Click on “My Data” then click on ”Enter Makeup” below your picture. OR make a note in the white notebook on the welcome table with venue and date of makeup. OR email our Club Attendance Secretary. (Reference DACdb website or Club Membership Roster pamphlet for contact information). If attending another club where you pay for a meal, please obtain an “Attendance Report” from that club and submit at Welcome Desk for a meal credit. To see your attendance record log on to the DACdb district site; click on “My Data” tab on the menu along the top; then click on “My ATTENdance” in blue menu bar. This award is given to those who have achieved 100% attendance during the Rotary Year and subsequent consecutive years whether through home Club attendance and/or make-ups, both of which comply with Rotary attendance rules. For online make-ups, take a look at Rotary eClub One. You do not need to register for anything to obtain a make-up with Rotary eClub One. Follow these easy steps to obtain your makeup. 1. Review one or more of the current programs or choose one or more of the past (archived) programs. 2. After completing program(s) click on Make-up Request Form at top of page. 3. Read the Makeup Request Form carefully, and follow the instructions.